I was lucky enough to meet and chat with Norm Nelson on several occasions. He was key to understanding some of the complexities of operations on the Georgetown Branch, as he had first-hand knowledge of how it operated being that he actually ran trains up and down the Branch. He was friendly and enjoyed discussing the minutiae of railroading. My kind of guy. 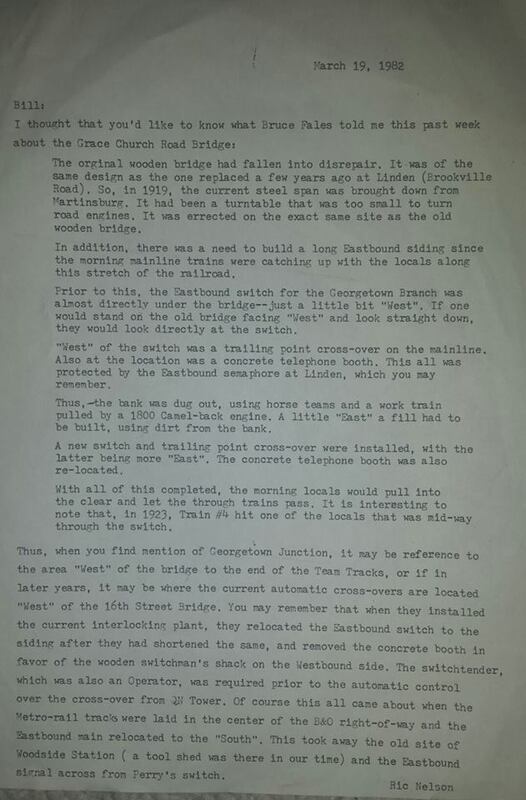 So imagine my joy when my friend Greg C. sent me the following letter regarding Norm’s recollection of the history of the Talbot Ave (or Grace Church Rd) bridge over the Metropolitan & Georgetown Branches of the B&O. 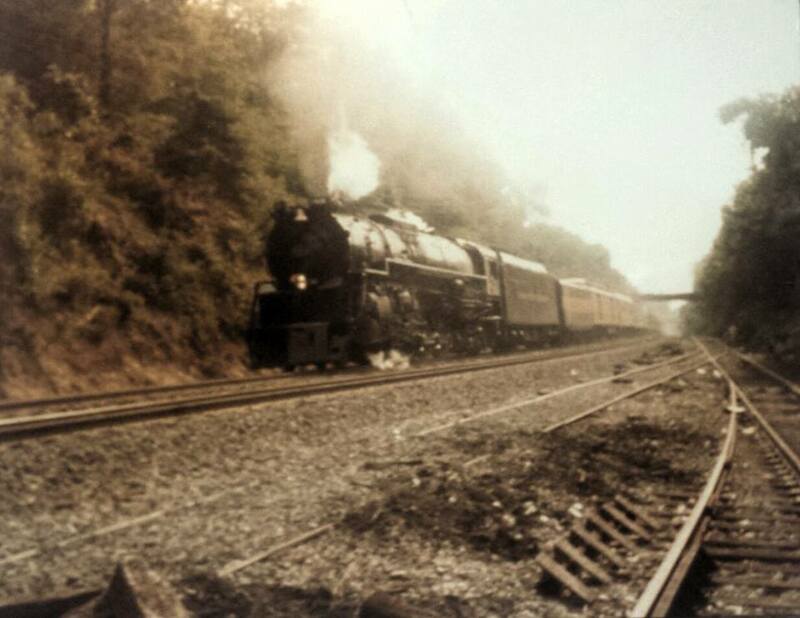 Norm recollects a conversation he had with Bruce Fales, another prolific railfan in the greater DC area (of which I have purchased a few old photos credited to him) in which he outlines the history of the bridge and the Branch at that point. Really fascinating stuff! Greg’s brother-in-law Andy got the letter from Richard Schaffer who should have credit for the items. I’m not sure who the photographer is in the photo below.